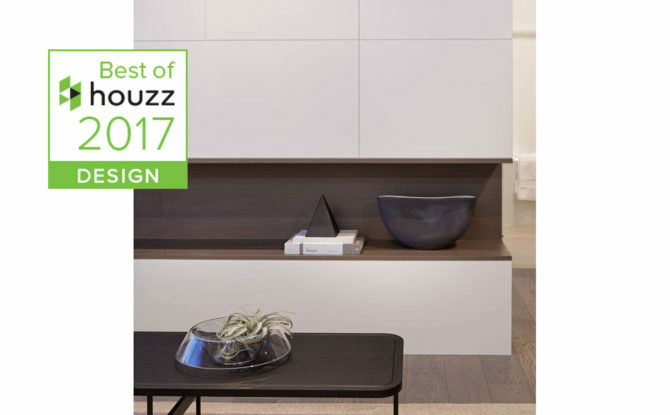 Vancouver, Canada, January 13, 2017 – Area3 Design of Richmond BC has won “Best Of Design” on Houzz®, the leading platform for home remodeling and design. Area3 is a professional design firm that believes “Design is better together. Chosen by the more than 40 million monthly unique users that comprise the Houzz community from among more than one million active home building, remodeling and design industry professionals. The Best Of Houzz is awarded annually in three categories: Design, Customer Service and Photography. Design award winners’ work was the most popular among the more than 40 million monthly users on Houzz. Customer Service honors are based on several factors, including the number and quality of client reviews a professional received in 2016. Architecture and interior design photographers whose images were most popular are recognized with the Photography award. A “Best Of Houzz 2017” badge will appear on winners’ profiles, as a sign of their commitment to excellence. These badges help homeowners identify popular and top-rated home professionals in every metro area on Houzz. Area3 Design is extremely proud to be given this award. Area3 Design believes design is a collaborative effort. We enjoy working with our clients and all parties involved to bring the teams vision to life. We bring the skills of four talented and experienced principals to create innovative, modern design that reflect an international sensibility. We work hard, we have fun and we design together. When most people think about public spaces, outdoor spaces often come to mind. The park or courtyard where neighbors meet while walking their dogs, the park bench where seniors read their newspaper or even the skate park where youth practice or show off their latest trick. Public spaces are important as it is in these places where people can spontaneously interact, create connections and build community. Whether inside or outside, interior design plays a big role in creating these communal spaces where we connect every day. Interior designers must consider how people interact within a space and with each other in public spaces. The design of great public spaces are pleasing, playful and unique – ensuring that the public will regularly visit and that the space will have adequate use. With densification on the rise there is a greater need to create more public spaces for urban dwellers to enjoy. Looking for new public spaces to check out in Vancouver? Here are a few that we are excited about taking interior design outdoors! Next time you are in the Downtown Vancouver’s central business district, you might want to meander through the laneway located south of West Hastings Street between Granville and Seymour. Recently the laneway has been revitalized with a fresh coat of bright pink and yellow paint on the road and walls – nothing you have ever seen before in Vancouver. 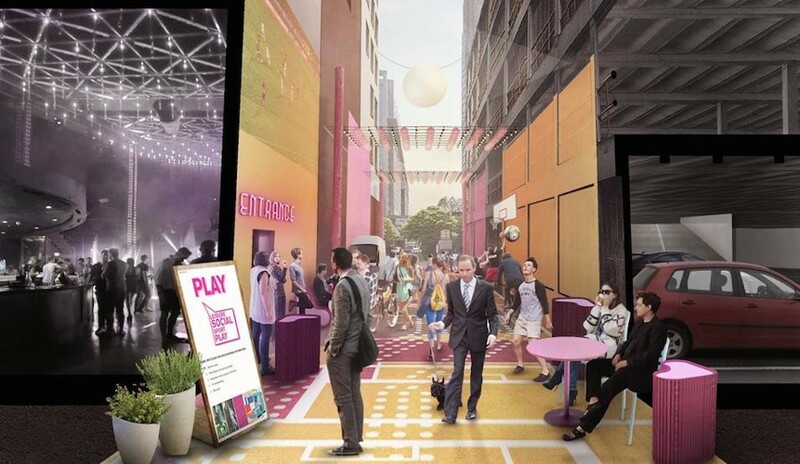 The laneway has been transformed into a pedestrian-friendly public space with basketball hoops and mini soccer nets – a great place to gather during a lunch break! A handful of basketballs and soccer balls are also available for people to play with or you can bring your own equipment. In addition, the Odyssey Nightclub will have a bar outside their back door, playing music every night to transform the laneway into a place where people will want to gather and socialize (much like Europe). The string lighting overhead also adds to the welcoming atmosphere at night with patio space extensions into the lane for Starbucks and Trees Organic Coffee Shop. Sounds cool right? It is all part of a pilot project by the Downtown Vancouver Business Improvement Association, the City of Vancouver, local businesses and is designed by HCMA Architecture + Design. Two more laneway revitalizations are also in the works, so keep an eye out for these! 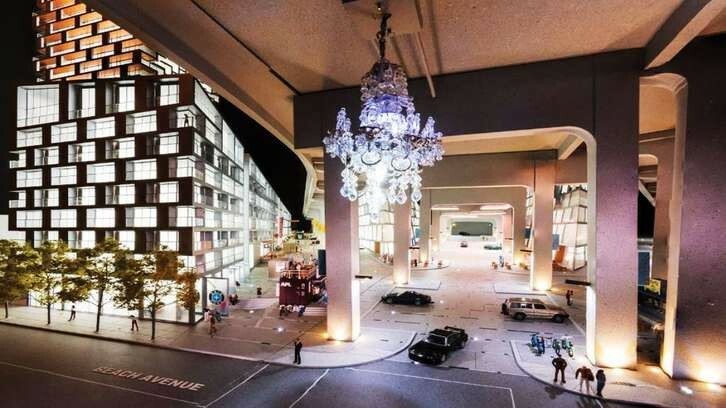 We briefly mentioned Vancouver House before in our previous blog post “New Iconic Architecture in Vancouver” and the market-style area under the Granville Street Bridge. The public space is also designed by Bjarke Ingels Group (BIG), which is known for creating fantastic public spaces along with architecture around the world. BIG has reimagined the bleak space beneath the foot of the Granville Street Bridge to become a civic space for the city and an attractive place to spend time. An art installation will go on the underside of the bridge, which will liven up the infrastructure that separates the buildings. This will set the tone for what we imagine will be a vibrant plaza space where people will buy products from vendors, gather and connect. We are sure to give this space a visit once it is completed! In 2018, make sure to take a Seabus over to Lonsdale Quay in North Vancouver to visit Metro Vancouver’s largest outdoor ice rink! It is a part of a revitalization project for the Lonsdale waterfront, providing much needed public amenities and event spaces in North Vancouver. 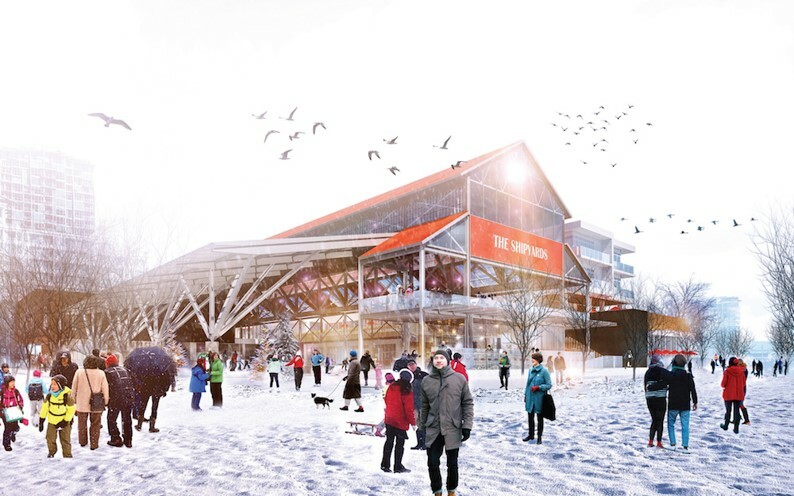 The new structure will be located on a site east of The Shipyards buildings. It will be an ice surface with a looped skating trail in the wintertime. In the summer, the ice surface will be transformed into a plaza space for events and part of the west side will be converted into a play area with pools and sprayers that kids will love. We’re excited to see a concert or festival here and visit the new restaurants and retail stores that are proposed for the area! Design is a tool. It can be used to provide solutions, reinvent living, or change our perception throughout space. In today’s age, we really know how to pack in a tight schedule. Though it is still important for us to remember to take the time to rest and restore our energy before we burn out. Easier said than done! Most of the time there just isn’t room for a break with a deadline hanging over our heads, errands to get done, and other people in our lives to support. So how do we create a sense of mindfulness through all this disruption? That’s when the definition of design plays its integral role in distilling moments of relaxation. Have you ever heard the acronym, “KISS”? Maybe in an old English class? It stands for, Keep it simple stupid. Of course, designing is definitely not the same as writing an essay, nonetheless this acronym really can go a long way in many aspects of our lives. So let’s apply it to designing for mindfulness. A messy space can often be a reflection of the mind. Simplify and de-clutter the spaces that surround you. The office should replicate your work, and the bedroom should replicate your personal life. Keep the gadgets out the bedroom, and your personal items at the office to a minimum. When the two spaces coincide it can be hard to stay productive while working. It can be even harder to leave the stress of work behind while trying to rest at night. 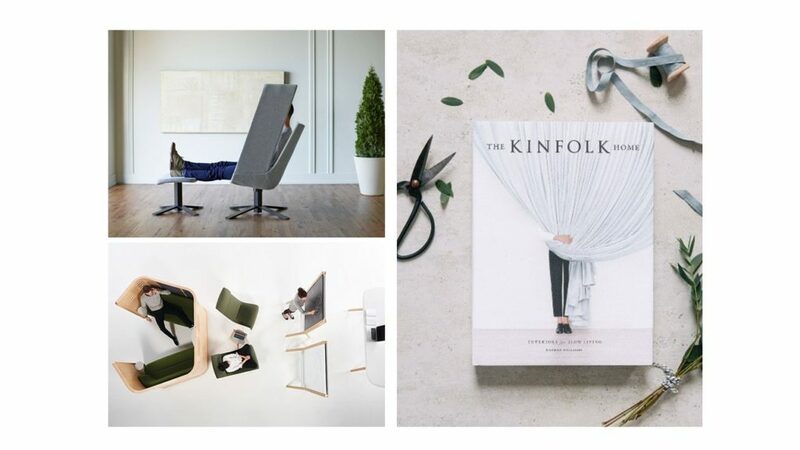 The Kinfolk Home: Interiors for Slow Living, is a great coffee table feature to have around the house. If you haven’t flipped through this yet, it’ll do you some serious good! Not only is it full of charming and attractive homes, there are lovely personalized stories to go along with each feature. This book provides some great tidbits on natural living and simple design. When you’re slouched and sitting in a chair most hours of the day, your mind can easily get just as lazy. Hence the onset of a headache. When we are hunched over a computer, we are actually sitting in an unconscious manner and often unaware of our surroundings. Studies encourage you to make a point of getting up and moving around throughout the day. Why not walk over to your co-workers desk and talk to them instead of sending that email?People who sit a lot have an increased risk of diabetes and heart disease. A solution would be to check out the popular sit stand desk. A height adjustable desk that allows you to stand while working. A few of the noted benefits are increased productivity, less back pain and may lower blood sugar levels. Workplace furniture companies like Teknion, and Haworth offer plenty of intuitive alternatives for getting the job done. Even fresh air and a sense of soothing sounds can help. I’m not about to preach the benefits of yoga, because I get it. Not everyone has the time or wants to get out on a mat with a room full of strangers. However let me tell you about the benefits of stretching. Provide some space in the home with plenty of clearance, and I guarantee that if you allot 5 minutes of time a day to touch your toes and wiggle your hips, it will shortly become 10, followed by 15. It just feels that good to open things up. A clutter free home, not only feels good, but looks better as well. All you have to do is try reading one of these articles, “What yoga can teach you about entrepreneurship”, or “Why exercise is a higher priority than my business” by Entrepreneur to realize most successful people pay close attention to their health and fitness. That’s what we call good inspiration!